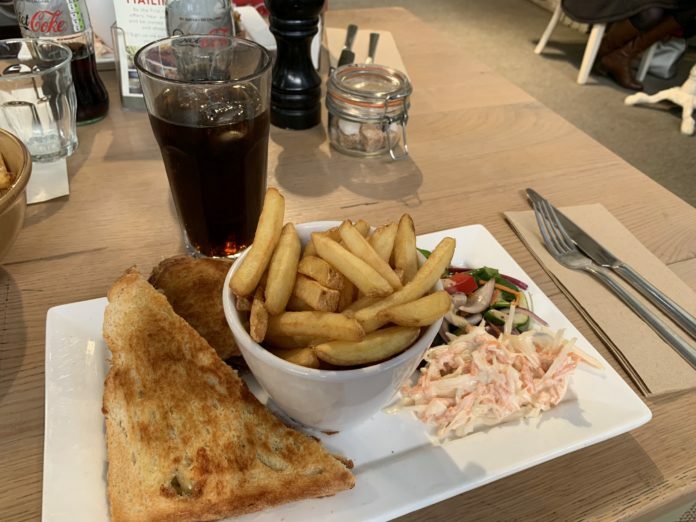 We visited Rosebourne Garden Centre on Friday 1st June 2018 for lunch and to repeat the review we did in March 2018. There was a small wait for a table. 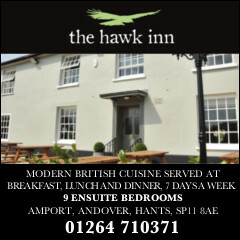 Regulars will know that you cannot book a table at this busy local restaurant, you are seated and served on a first come basis. We arrived at around 1.30pm and so expected a small queue. We were seated with menus at the front of the restaurant near the kitchen and our smiley friendly waitress, Netty came over and took our drinks order. The drinks arrived very quickly (a couple of minutes) and then our food order was taken. I ordered the Rosebourne Pate (£6.95) my teenagers ordered the Mozzarella Cheese and Bacon toasted sandwiches (£7.45 each) and we ordered the Tuna Melt Toastie (£7.25). We sat and chatted for a while as we heard the chef call out orders over and over, the restaurant had a more urgent feel to it today, staff were moving quicker and appeared to be responding to tables faster than the last time we visited. Our food arrived after around ten minutes, it was all hot, looked great and smelled amazing, it was again served with a smile, it felt like nothing was too much trouble today. My pate looked fresh and the toast was nice and hot so that when I buttered the toast the butter melted in before I then spread my pate over and topped it with the delicious homemade chutney, the crunch of the toast along with the smooth creamy pate and the punch of the red onion chutney is a perfect combination and if you are popping in for a light lunch date, definitely give this meal a go. It is also served with a fresh crisp salad. The boys had the Mozzarella and Bacon toasted Sandwiches, they came out piping hot, served with crisp, hot fries, salad and coleslaw. The sandwiches were packed with bacon and cheese and both teens commented on how it was so much better than the last time they came on Mothers Day. The cheese was melted throughout and the bacon was cooked to perfection. The Tuna Melt toasted sandwich was packed with tuna, the cheese was again melted throughout. It was served with coleslaw, salad and chips. We asked for a separate cold plate for the toddler that was with us, and again, this request was no trouble and was completed with a smile. We decided to stay for a couple of desserts as our experience had been so good, and we ordered the Brownie with ice cream (£4.95), the Scone with Butter and Jam (£2.95) and a Yum Yum (£2.95), sadly the Yum Yums had sold out and so we replaced it with another brownie, but at no extra charge. The scone was a good size and was served with good portions of butter and jam. Sometimes scones can be a little claggy when you eat them, but this one was light and obviously fresh. The brownie arrived with ice-cream on a biscuit crumb topped with a chocolate decoration, the brownie was smothered in a hot chocolate sauce and was topped with berries. I am told it was delicious; the vanilla ice-cream was soft and creamy, the chocolate sauce was warm and rich and the crumb added an extra texture. This was a fantastic experience from first contact to the end – Netty was a fantastic waitress along with every other employee that we experienced on that day, we can’t praise the staff more for the service or the food. Our experience in March could not have been much worse and so I was nervous of returning in case the food and service were still unacceptably poor. Rosebourne has clearly taken constructive reviews on board and made massive changes, putting this eatery back at the top of dining options in the local area. Not only can you have a decent meal at Rosebourne, its perfect for a cup of tea and a slice of cake – make sure you make use of this local gem. Would you like to send in a local food review with pictures or own a restaurant and would like a review done by Andover & Villages? Email editor@andoverandvillages.co.uk for details.